Thursday at 7 p.m. EDT, a national moment of silence, organized by @FeministaJones, will take place across the United States. People will come together to peacefully protest the excessive police brutality that has taken the lives of black people across the country. In true social media fashion #NMOS14 started out as a simple conversation between Feminista Jones and another Twitter user looking for a way to stand in solidarity after the recent killing of Michael Brown in Ferguson, Mo. Now #NMOS14 is a movement. Thursday night, people across the country will stand silently in solidarity. “It’s not just Ferguson. Police brutality is pervasive. It’s happening in so many cities,” Feminista Jones told the USA Today Network. "We must mourn the loss of people who have become victims, and give them a place to find healing with people who care," Feminista Jones said. 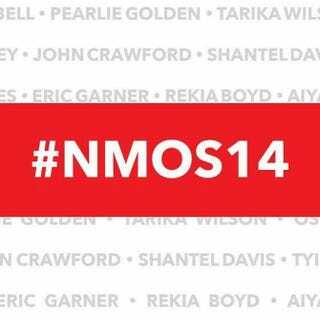 Follow the hashtag #NMOS14 and click here to find a physical location of the event taking place in your area.